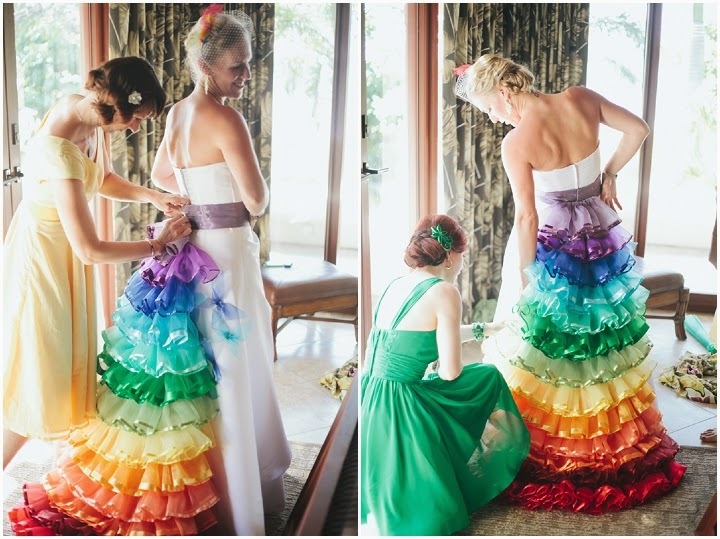 You are a happy, bright and fun loving couple so you've chosen a rainbow theme for your wedding day. What an exciting wedding theme. 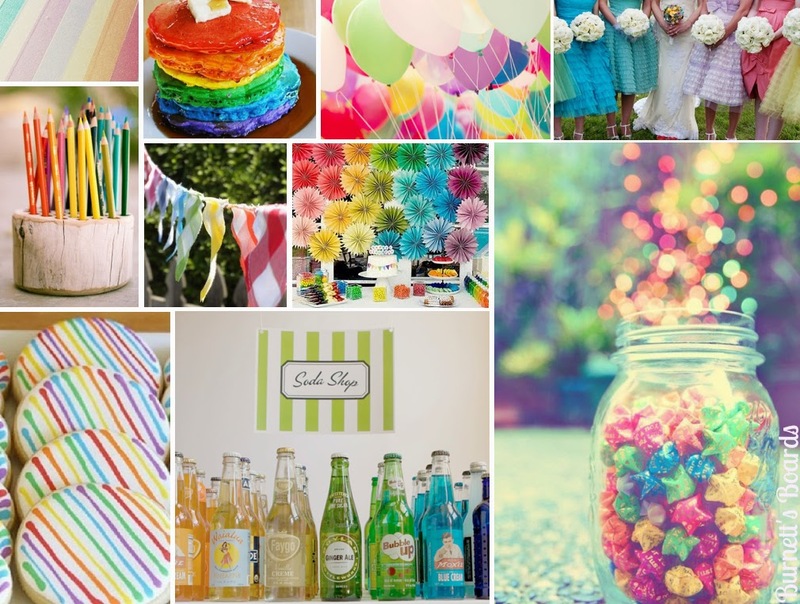 In this article I'm going to give you a few wedding planning ideas to incorporate this fun rainbow theme so that it is still elegant and stylish. The first thing you think of when hear the word rainbow is many colours, beautiful colours. 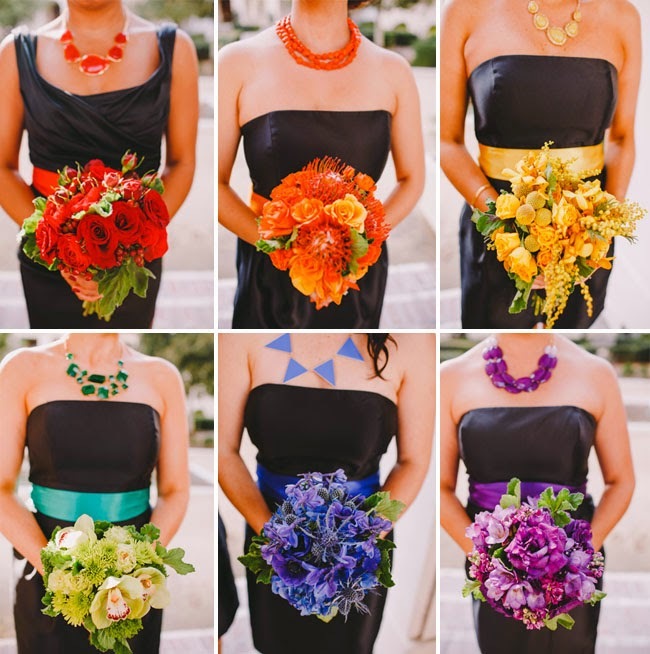 How can you incorporate the seven colours of the rainbow into your wedding decor? Well firstly, let's remind ourselves of what the seven colours are. They are red, yellow, orange, green, blue, indigo (a blue/purple colour) and violet. I suggest that the first place to start is with your flowers. You can have centrepieces and flower arrangements have one or two of each of these colours in each arrangement. You can do the same with the bouquets. Choose two of these colours for your table cloths or overlays then lay each table alternately with the colour table cloths, for example, one table will have yellow and the next orange, the next one yellow then orange, and so forth. Do the same with the chair tiebacks. You could three of the colours for your draping, say yellow, blue and violet. Your wedding planner can help you with these ideas and also with the wedding stationery. You can ask your wedding planner to create wedding invitations that incorporate all the colours in an elegance way. Perhaps choose a red and yellow invitation and add small details with each colour, such as a violet ribbon, orange paper and green leaf inside and a blue and indigo décor item. Then do the same with your menus, name cards and seating plan. Be sure to use the colours in the same way for each item of wedding stationery as you don't want the colours to run away with you. Decorate a white wedding cake with each of the colour flowers that you have chosen for your flower arrangements. At the top of the cake have your baker create a bride and groom standing under a rainbow. This way it will tie into your theme perfectly. 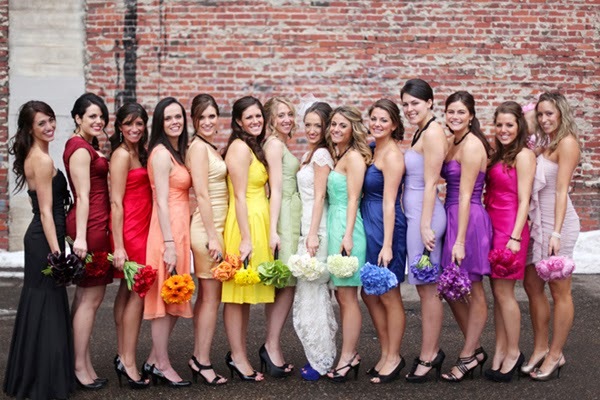 Why not have also have your bridesmaids wear different colour dresses too, one red, one yellow, one blue, one green and one purple. Then have some fun with the wedding souvenir ideas. You could have rainbow decorated gift boxes with colourful sweets, such as jelly beans, inside. Or use the different colour tissue paper to wrap up little souvenirs and tie each one with a different colour ribbon. Maybe have different colour Christmas baubles printed with your names. As you can see, you can do so much with a rainbow theme and it can look elegant and fun at the same time. I hope that you can picture it. For a unique and epic event, Epique Weddings & Events assists brides with all the planning and preparation that goes into a wedding. We take the stress out of your day so that you enjoy every memorable moment.